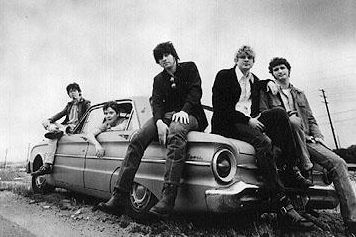 Whiskeytown were an alternative country band formed in Rayleigh, North Carolina in 1994. The founding member Ryan Adams was joined by Caitlin Cary, Phil Wandscher, Eric Gilmore and Mike Daly. They disbanded in 2000 when Ryan Adams left to pursue a solo career. They are often credited with having a huge impact upon their genre and I can certainly see why. Although a lot of bands and solo artists are doing what they did now, in 1994 the country music charts were dominated by acts such as Randy Travis and George Strait, both very traditional country music artists however some of the acts that were in the charts then are still going strong, such as Martina Mcbride and Toby Keith. There are still avenues however that they explored that very few country artists seem willing to follow. They had released three albums in their time as a band together, "Faithless Street" in 1996, "Stranger's Almanac" in 1997 and then "Pneumonia" in 2001. There first two albums were definetly the more country of the three but in "Pneumonia" they have more of a crossover sound and it is upon this that I'm going to focus. 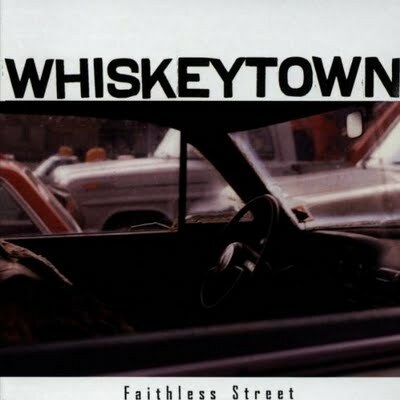 There was certainly a crossover element into pop in the country music of the time however Whiskeytown have a definite influence of blues and rock in their music as well as the country base. In the lead track from their third album "The Ballad Of Carol Lynn" for instance, the listener really gets a sense of the raw nature of Ryan Adams' voice and the simple drum beat and piano behind him increases the blues influences in the song. The rock influences are more subtle in my opinion and are mainly in the use of the instruments that lie behind the main vocals. After listening to many of the songs on their third and last album I would definitely say it isn't the type of music that I would normally listen to but after having them recommended to me, I have found a lot of good music from them. Perhaps my favourite song would be "Jacksonville Skyline". It links with a lot of modern day country music and has a very David Nail like sound. It is also gloriously simple in it's melodic lines and lyrics in general, made even better by Caitlin Cary's backing vocals. It is odd to have four guys and a girl in a country music band but Caitlin fits in amazingly and adds another layer to Whiskeytown's music. "What The Devil Wanted" is definitely a song that interests me. 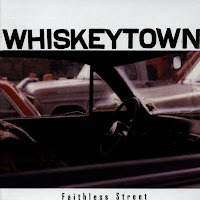 It is very different to a lot of the songs on Whiskeytown's last album but it is mixed brilliantly. The music sounds like it is coming from all around you, even when it is being played through headphones, something that is often missing. The song has a very simple melodic line from the piano and the way Ryan Adam's voice is recorded makes it seem very haunting and mysterious. As I mentioned, this is not the type of music that I would normally listen to and I'm not truthfully sure if I would listen to a whole album regularly but there is definitely something about their music that draws me in. I'd definitely recommend a listen to some of the songs, especially if you like country music already. Four stars from me.